WE challenge, coach, and collaborate with all comers! Wendeen Eolis Enterprises counsels high achievers on integration of IQ EQ and CSQ to optimize decision strategies and fulfill aspirations to "play bigger." Wendeen Eolis, CEO and a certified employment consultant and certified professional coach, sets the example in her career. An entrepreneur, legal consultant, public official, journalist, motivational speaker and guru in decoding "Negotiating DNA," she is also the first woman to "cash" in the main event of the World Series of Poker, and the first woman to do so twice. This blog has been inspired by my multifaceted world of negotiations and decision strategies- in business, the legal profession, government, poker rooms, and pursuit of a masters in legal studies. Wendeen Eolis looks upon the pursuit of excellence across multiple platforms as her winning strategy for "a life well lived." She celebrates perpetuation of Renaissance -- across the board! A recipient of numerous industry awards, corporate honors and government citations, including Corporate Live Wire's Innovator of the Year (2015) and Corporate Vision Magazine, CEO of the Year (2016), Wendeen Eolis marks 50 years of leadership in 2017 with a history of notable "firsts." First legal recruiter/career coach qualified as expert witness fed//state Courts. Expert in first attorney compensation (EEO case) on Court TV. Leading legal consultant profiled by the The New York Times; NYT Page 1 (Metro) ; NYT Business Section. The only player in Inaugural Professional Poker Tour season elected by players and sponsored by management. Wendeen Eolis has been the subject of numerous feature stories--including profiles of her business activities, public service, and poker exploits-- in an extraordinary range of print, broadcast and digital media reports--from The New York Times, to the Daily News, from GQ Magazine to the National Enquirer, from BBC to Court TV, from A&E Biography to ABC News and more. As a coach who specializes in career optimization and reputation management online and offline, Wendeen's people reading expertise and advice on effective negotiating tactics have been sought by investigators and reporters behind the scenes and have been reported in business/human interest articles published in the likes of The New York Times, the New York Daily News, New York Magazine and Manhattan Inc. in feature stories about Wendeen. Wendeen's status as a poker celebrity with 10 record-setting performances as a woman in world class events prompted scores of stories in poker and gaming publications around the world and special nods from WSOP legends like Johnny Chan and reporters like James McManus in The New York Times. Recognized as the "Grande Dame of Poker" by the Commissioner of the World Series of Poker, in 2006; that moniker has stuck with her! An activist, Wendeen fought successfully to end smoking in Donald Trump's poker rooms and has been an ambassador, for non=smoking and abuse-free poker rooms, ever since. Wendeen also served as the Chairman of the World Poker Association. At Wendeen's request, her appearance on A&E Biography Close Up, was filmed at a Tunica Mississippi casino, to showcase the improved literacy gaming taxes had brought to the poorest county in the poorest state of the country. Her writings include legal/business affairs for the New York Law Journal and more than a decade of cover stories on the business, legal issues and and key figures in the gaming/poker world for Poker Player Newspaper and Poker Digest as well as articles in almost every other major casino-based print publication on gaming/poker matters. Wendeen was the first broadcast journalist to cover a major tournament live; the U. S. Poker Championship at Donald Trump's Taj Mahal. She was a co-anchor for the filming of the Tournament of Champions that served as the pilot for the World Poker Tour. She was the first female ESPN commentator for the World Series of Poker, and a commentator for the historical final WSOP at Binion's Horseshoe. In her planned memoir, "Raising the Stakes"..., Wendeen expects to highlight lessons learned in high stakes negotiations--from the board room to the card room. Wendeen Eolis is a veteran lecturer, seminar leader and workshop moderator. She uses her experience in business, law, politics, government and poker, interchangably, explaining similar and different principles of negotiation that are applicable. And in all of her public appearances Wendeen she reminds her audience of crucial differences between negotiations at the poker table and elsewhere. She says, "In life I look for fair results in which I win, you win and we continue the relationship. At the poker game there are negotiations as nuanced as in other parts of life, but winning is something else entirely. The goal has to be, I win, you lose, and I kill you! " She makes clear, "I like the game of poker, I like the life of fair play." "Wendeen provides an insightful framework for negotiating which is broadening in strategy development but disciplined in approach. Using a uniquely provocative poker context, Wendeen helps you to recognize new avenues of communication." "Wendeen's negotiating wisdom includes unique insights on how to play to your strengths with spot-on illustrations." "Wendeen is fearless and unmatched in her skills in negotiating employment offers and separation agreements, and is unwavering in her devotion to get the best deal possible for her client." "Wendeen is an incredible speaker, teacher and overall role model for women. I recently invited her to speak for my not-for-profit women's career transitions workshop. She blew us all away with her personality and extraordinary experience, providing clear and concise strategies for successful business negotiations. If you have the opportunity to work with Wendeen, grab it. You won't be disappointed! " "Wendeen's advice was crucial in guiding me to a new career." 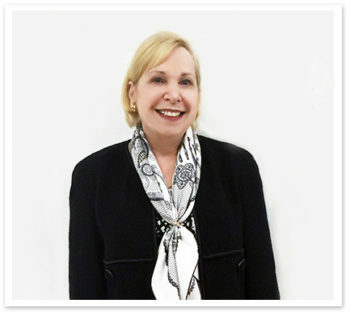 "Wendeen channels her knowledge into advice that is tailored to each client's individual needs. She's a strategic thinker as well as a practical one, making her advice highly actionable." "Wendeen is a skilled collaborator, negotiator and C-suite executive coach who has worked with business leaders and Heads of State. She is strategic and adept at processing information and solutions driven." One benefit of working directly for Wendeen was the chance to observe deal-making at its highest levels. I was invited to sit in on certain business negotiations and legal strategy sessions with principal players in diverse industries industries and participated in conversations with important figures in the executive branch of the federal government, as well as with two U.S. Congressmen, and a U.S. Senator. The whole experience served as an intensive course in business negotiation strategies. What I am most grateful for, however, are the information management skills and methodologies that I learned at Eolis. So, my advice to you is this; if you are ready to work hard with Wendeen and seek to benefit immensely from the experience you won't regret it. It iswell worth your time." "Wendeen is among the best connected people I know and the reason for it is that she provides high quality, thoughtful advice tailored to the individual needs of her clients and friends. I highly recommend her." "I know Wendeen to be smart as a whip and well-connected at high levels of the corporate and political worlds. I retained Wendeen in a uniquely different context... for a film project I was developing set in the world of gaming - where she is also a well-respected and well-connected expert. She knew everybody, and they knew her! She is honest, always cheerful & focuses like a laser on the task at hand. I greatly recommend her, and look forward to the next opportunity for us to collaborate.."
- D Atkins, Owner Producer Movie Company.